A brand new episode of Power Rangers Super Megaforce airs TOMORROW on Nickelodeon! And to whet your taste buds we have another preview clip for you courtesy Fury Diamond and his Samurai Cast Blog! Check out the clip below! 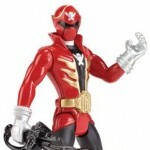 Special note – this new episode features the first former Power Ranger to return for the anniversary season – that’s right, it’s Alex Heartman who played Jayden the Red Ranger from Power Rangers Samurai! Join the discussion of this preview by clicking the discuss link, and join us TOMORROW for the episode poll and discussion thread! Super Mega Mode! 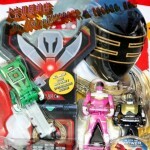 Amazon has begun to list the 4 inch Power Ranger Super Megaforce figures from Bandai of America. Although they are not currently available to be purchased. 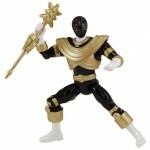 These figures has a more limited articulation, no elbow and knee joints, but does come with weapon. 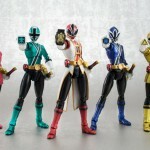 The initial wave features Red Super Megaforce Ranger, Blue Super Megaforce Ranger, and Green Super Megaforce Ranger. 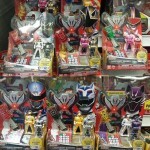 Also included are past rangers like Red Megaforce Ranger and Red Samurai Ranger.